China internet stocks were hot today, but it appears the key to share gains in CCIH is for it to regain attention as China internet IPO versus a reverse takeover (RTO). 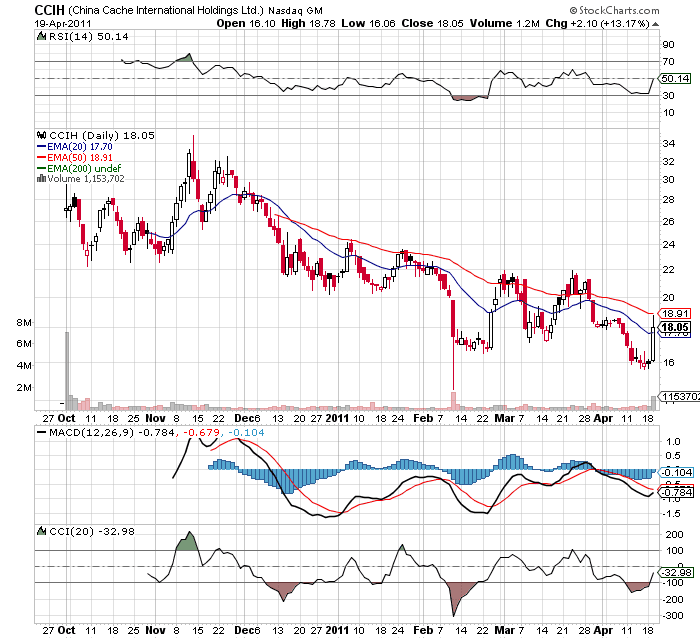 Somehow CCIH had slipped down to where it appeared that investors were considering them in a skeptical light while bidding up all the big name stocks. Hopefully the volume today signifies a change in direction. 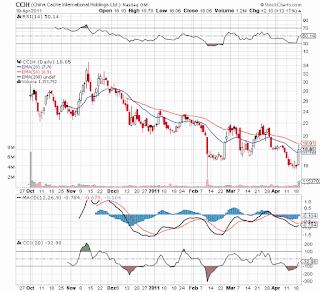 If anything, CCIH should be a huge benificiary of the internet boom in China. Numerous companies have raised significant amounts of funds to expand operations and they'll all need the CDN services offered by them.